Boise Cycle, LLC is owned and operated by Carl and Sue Davis and has been in business in the same location since 1972. Sue Davis does our business administration, accounting, customer service, scheduling, parts ordering, retail purchasing & sales since 1980. Sue also answers the phone in her "spare time." 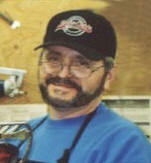 Carl Davis has been our "main wrench" mechanic since 1972. As a small personalized shop, we get to know our customers and their Harley's. earned their trust and strive to give their Harley's only the best of care. Simba was 21 yrs. old and passed away peacefully on Aug. 14th, 2006. 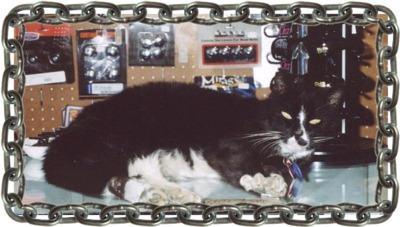 He has been part of our shop his entire life. He is greatly missed and will always remain dearly loved in our hearts.